Trying to find new keto breakfast recipes? 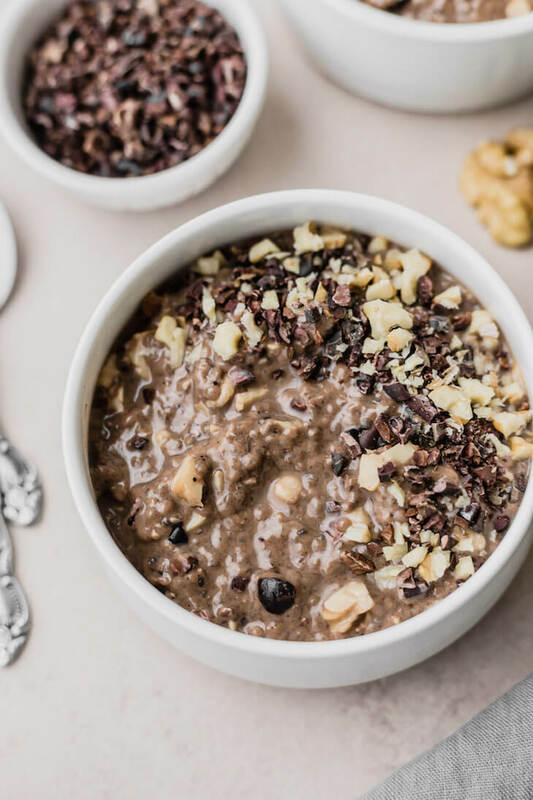 Try this double chocolate keto overnight “oats.” It’s quick and easy while also being delicious and nutritious. This is especially true if you’re the type that needs breakfast on a ketogenic diet and you often find yourself running out the door without thinking to prepare anything for your first meal of the day. However, things don’t have to be this way — especially when you know you have chocolate for breakfast! Hey, this motivation works for me, every time. 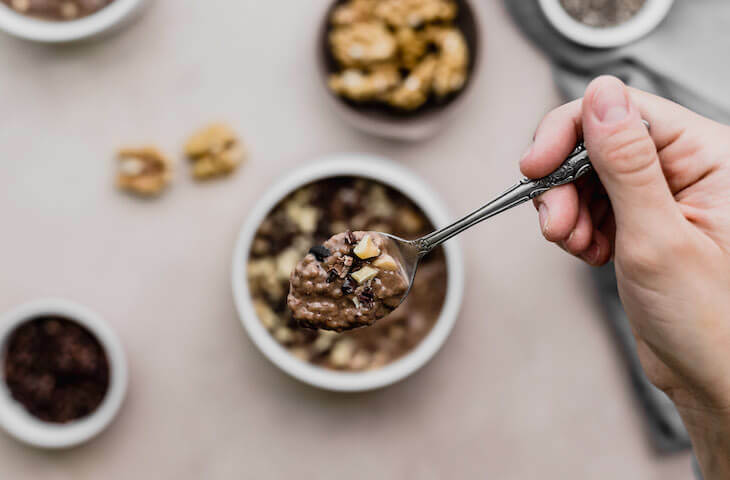 While I enjoy making big traditional keto breakfasts with eggs and such, it is nice to have alternative keto egg-free breakfast recipes. Here’s one to add to your collection! 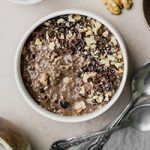 – the keto overnight oat. You mix up everything 1 to 3 nights before you plan on enjoying, and voila, you can have breakfast and not worry your entire day being thrown off. 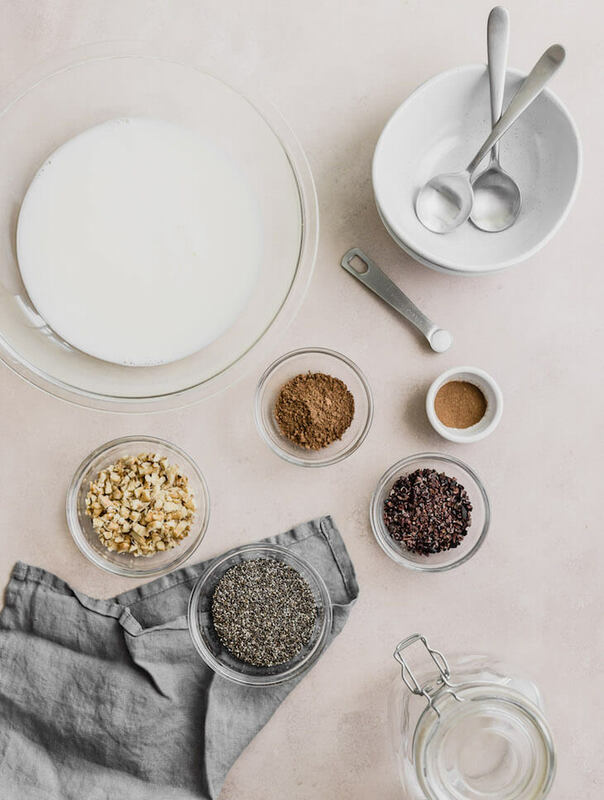 What makes overnight oats even better is the fact that it is so easily customizable that it can suit anyone’s taste preferences. This recipe serves up to four people, takes ten minutes to make, but needs to sit in the fridge for 12 hours, and lasts up to five days in the fridge. Not only is this recipe an easy to prepare breakfast option, but it is also delicious. It will help keep you feeling fuller longer and is packed with antioxidants because of the chia seeds. It will also help lower your blood pressure and your risk of heart disease because of the cocoa. 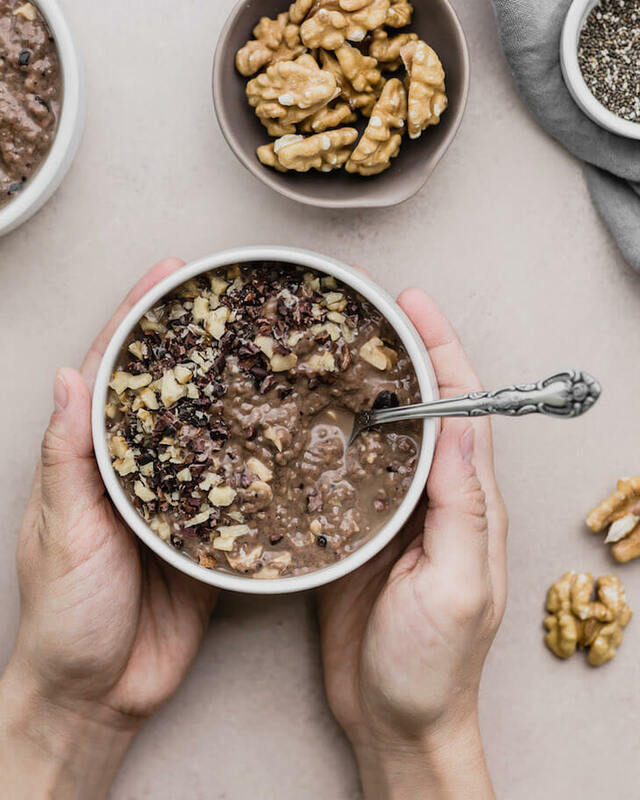 Place the chopped walnuts, chia seeds, MCT oil powder if using, cacao nibs, cacao powder, sweetener of your choice, ground cinnamon and sea salt in a larger airtight container at least 4 cups (950 ml) in size. Rotate the ingredients until everything is fully coated. Add the milk and vanilla extract, stirring until everything is incorporated. Cover and place in the fridge overnight, for at least 12 hours. When ready to serve, stir well then divide evenly between four bowls and enjoy. Make it nut-free: omit the walnut pieces and use coconut or dairy milk. Will keep in the fridge for up to 5 days. If you've made the recipe and it doesn't thicken well, double up on the chia seeds. This happens because of the quality of chia seeds or milk you've chosen. 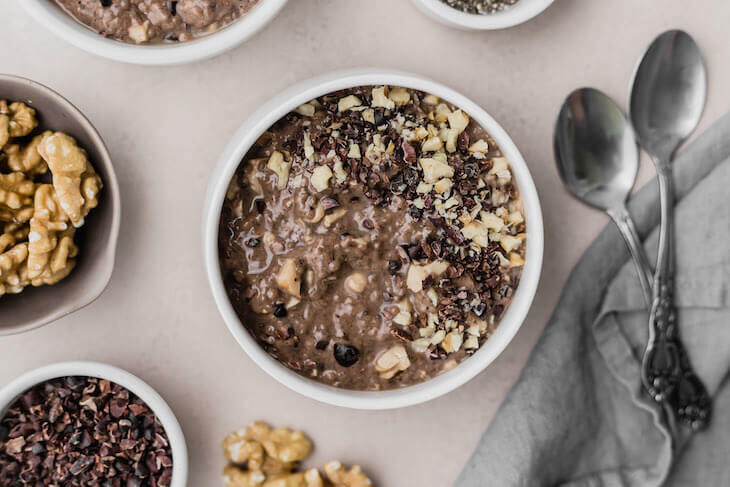 If you’re not keen on the chocolate flavor, try out this vanilla keto overnight “oats” version, or this raspberry pudding bowl. These are still great quick, easy, healthy, and delicious breakfast options. Have you tried prepping your breakfast at night? What did you think and how did it change your morning routine. Was it with any of these overnight recipes, or was it something completely different? Remember to snap a few photos and share them with me on Instagram! I can’t wait to hear what your favorite parts are when it comes to testing these recipes!